All of our decks are built to the highest possible standards with the best quality material. Choosing the correct material is important to you as a customer to get the finish and style you’re looking for. A pine deck is the most common using Norwegian pine which is a strong, long lasting timber, making it cost effective. We also offer hardwood deck which comes in many different exotic timber, to give you the colour and texture you’re looking for. A newer decking is composite plastic deck. This is a lifelong hard wearing plastic deck, which comes in many colours and board styles, such as woodgrain effect and grooved. It also has a secret fixing so not to spoil the look of your deck with screw holes. 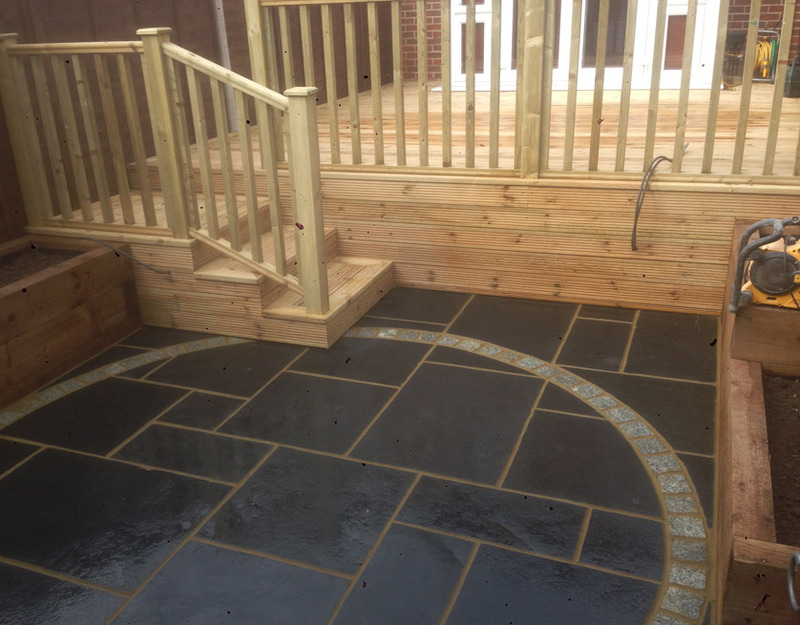 All decking can be fitted with banister rails, lights and steps to suit you.